The British Agent of Revenue and Commerce in 1802, Garvin Hamilton. started a new canal to the east of the earlier cut canal by Sinhalese king and the Dutch. This canal was meant to link the Dutch canal by a series of parallel canals designed to drain the Muturajawela. what happened was the opposite as the high tide brought salinity not only from the Negambo lagoon but also the Kelani river. Thus the Hamilton Canal was born, named after Garvin Hamilton and stretching 14.5km from Colombo to Negombo. During the 15th Century under the rule of King Vira Parakramabahu VIII, the Negombo lagoon served as the main seaport for trading in cinnamon and other commodities. It was this king, in keeping with superior economic considerations, to facilitate access and transport, who began constructing the canal. and transport cinnamon in barges to the nearest port. Thus, the canals formed a “continuous line of waterways between ports and the remote sections of territory under the Dutch” (Brohier). Matara for the transport of goods, floating timber down from forests and as a flood control measure, while the coast North and South of Batticaloa was one of the oldest routes developed. shady”; and so travelled to Negombo. Between 1802 and 1804, when the Island was under British control, a new Colombo-Negombo canal was built, conceived by Garvin Hamilton, British Agent of Revenue and Commerce. 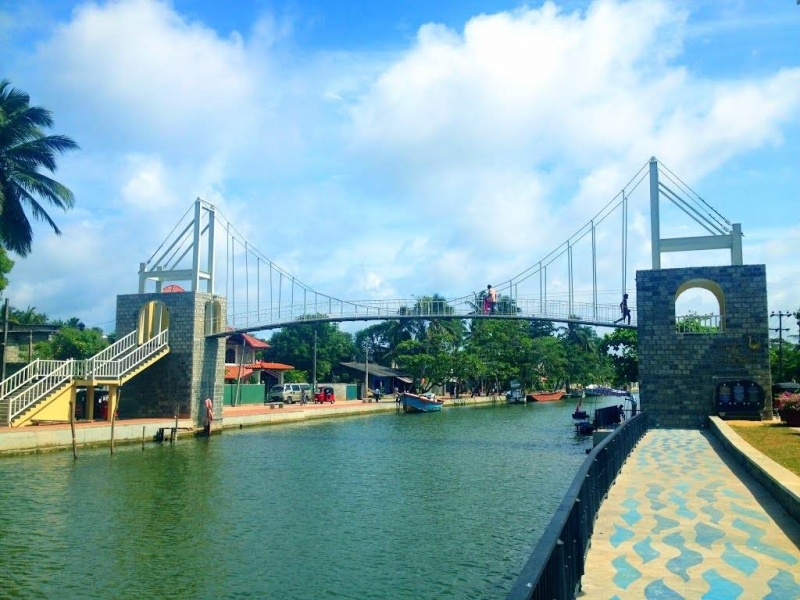 Hamilton Canal ran west of the old Dutch Canal, quite close to the sea, from the mouth of the Kelani Ganga at Hekitta to the southern edge of the Negombo Lagoon at Pamunugama, a distance of 14.5 km. 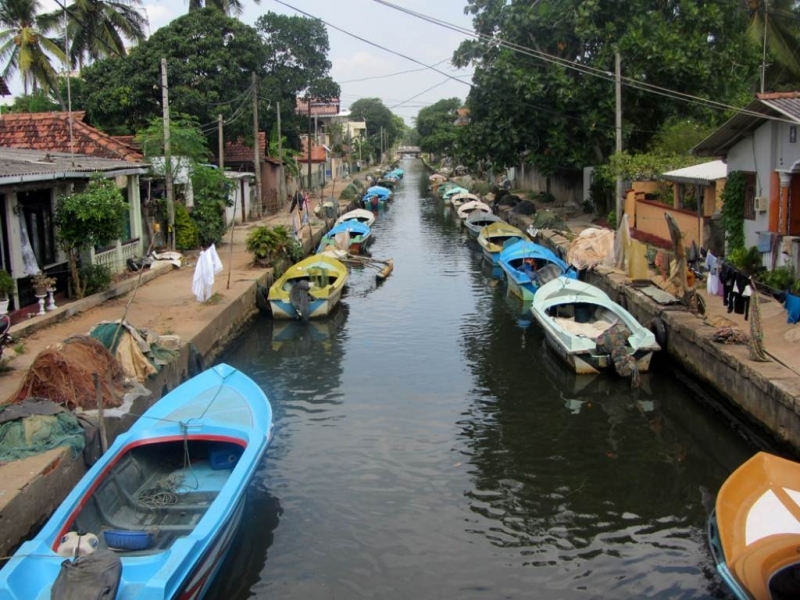 The refurbishing project of the Hamilton Canal in Sri Lanka covered not only the distance from the Kelani Ganga to Negombo Lagoon, but also the nine-kilometre stretch from Negombo town to the Maha Oya, which constituted the first stage. This ambitious project, which is spearheaded by Minister Basil Rajapaksa, under the Ministry of Economic Development’s Tourism Resources Development Programme, is being implemented by the Sri Lanka Land Reclamation and Development Corporation. lights that span the bridge reflect attractively in the still water of the canal and illuminate the activity of this bustling area. creatures . Furthermore, one section overhangs the canal with expansive slabs of glass paving through which the water can be observed by anyone travelling overhead. An appropriate facility is a new fish market located at the edge of the canal, where the cuttlefish, prawns and numerous fish are assured to be freshly caught. These are aspects that must be experienced on foot, but attention also be given to the canal waters, which, incidentally, flow back and forth every twelve hours due to the influence of the sea-tide on the level of the water in the estuary.